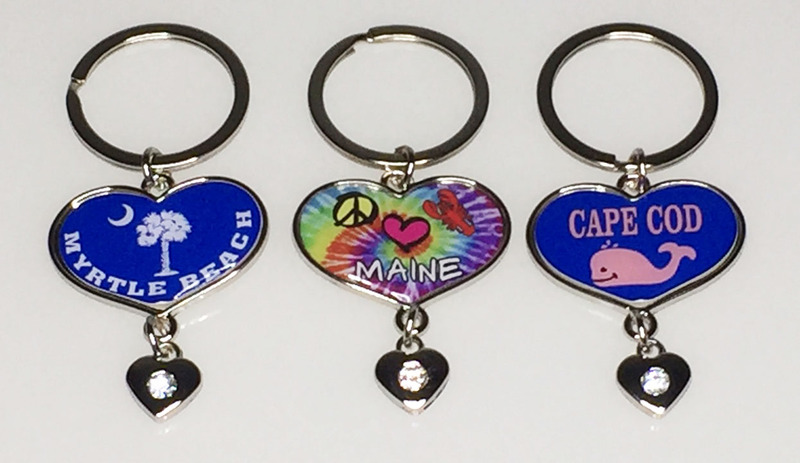 This key tag is made from zinc alloy and is nickel plated. Our domes go inside the heart recess and domes can be any imprint from 1-color to full-color. They measure about 2" from charm to the top of the heart and are attached to a 1.25" flat split ring.